Normandy is a region of Northern France just west of Paris that's famous for its role in World War II as well as a number of other significant events throughout its history. However, its rugged coastline on the English Channel is also home to a number of picturesque small towns and villages perfect for an escape from the congestion of Paris, including Caen, Le Havre, and Rouen. Among other top places to visit in Normandy are Mont Saint Michel—an island topped by a medieval monastery just off the coast—Omaha Beach, the site of one of the D-Day landings of Allied reinforcements, and Giverny, which is home to the gardens that inspired Monet. 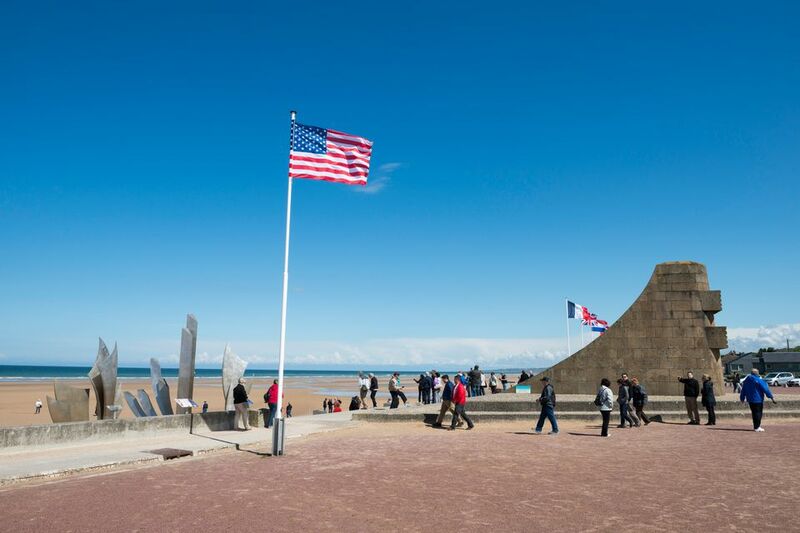 Rich in culture and home to a number of historically significant sites, Normandy is a great destination for World War II buffs, beach enthusiasts, and tourists looking for a great event any time of year. The closest major city outside of Normandy is Paris, and there are several ways you can access this northern region during your trip to France. While it's generally recommended that you rent a car to visit the D-Day memorials along the coast, there are also several transportation options to get around the countryside without a car. You can take the train from Paris Saint-Lazare station to Vernon, the first stop in Normandy and the closest station to Giverny, which takes about 45 minutes and runs along the Seine River. To get to the D-Day beaches, stay on the train to Caen where you can rent a car or take a bus service to the coast. Caen is about 150 miles from Paris. Alternatively, if you don't want to worry about navigating public transit in Normandy or driving a rental car, you can take a coach tour out of Paris or take the train to Caen to join the D-Day Tour, which includes tickets to the Peace Museum and transportation to and from the train station as well as a five-hour guided tour of the Anglo-American beachheads.